Knebworth Tennis Club is a growing, friendly village club located in the recreation ground off Watton Road, Knebworth, Herts. We are LTA registered and welcome new members of all abilities to join us for the new 2019 season starting 1st April. Our members come from Knebworth, Stevenage and surrounding villages. The Club has been in existence for at least 80 years. Originally the Club had grass courts but now have 4 hard courts which we use all year round. 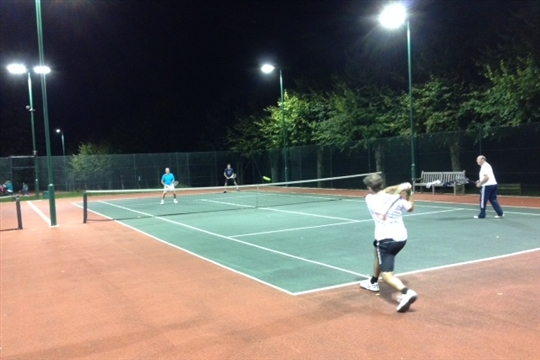 A new chalet style clubhouse was opened by Stephen McPartland MP in March 2014, and in 2015 floodlights were installed on three courts. 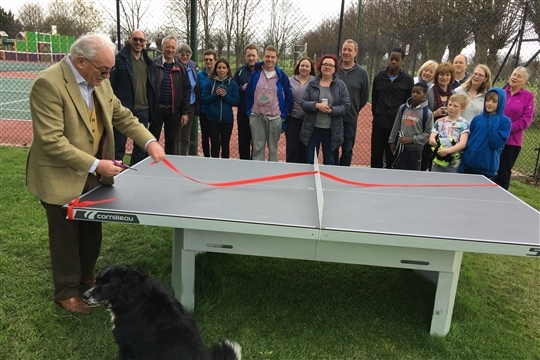 In 2017 we installed an outside table-tennis-table and a toilet in the clubhouse. We promote tennis to all ages and abilities and have some of the lowest membership prices in Hertfordshire. For adult members we offer weekly coaching and club nights, summer & winter tournaments and take part in a number of local leagues. For Junior members we offer Friday afternoon coaching and a summer tournament. A reduced programme also runs in the autumn. League matches are played all year round with teams playing in both the Datchworth Summer & Autumn, East Herts Winter, Ladies Vets, Mens & Ladies Hot Rackets and the Men's Herts Summer competitions. Visitors can play as the guest of member on three occasions after which they will be expected to join the club. A visitor's fee of £2.50 per person per hour applies. Here are just a few of the benefits of being a member of our club: relaxed friendly environment to play social tennis, floodlights, adult & junior coaching, weekly club night, regular summer & winter tournaments - followed by amazing teas, opportunities for league matches, entry into the Wimbledon ballot and on-line court booking.